If you noticed that your 2018 iPad Pro can bend and maybe even arrived with a slight bend in it right out of the box, then you’re not imagining things. Apple has confirmed that the 2018 iPad can bend and does not see it as a defect. After the 2018 iPad started reaching buyers, some started complaining about a bend in the device, either gradually over time or straight out of the box. Users reported the issue with both the smaller and larger 2018 iPad Pros. “I see a very small bend in mine as well. Not sure what could have caused it as my unit has never had any pressure applied to it outside of holding it up and using the on-screen keyboard,” one user complained on the MacRumors forum. Apple was quiet about the issue initially, but due to the growing number of complaints, the company finally told The Verge that the 2018 iPad can bend. Further, Apple says it is not a defect, but rather, a side effect of the iPad Pro’s manufacturing process. The small bend in the new iPad Pro is due to the cooling process used to create some of its plastic and aluminum parts. According to The Verge, the issue was more pronounced in the LTE version of 2018 iPad because it includes a plastic strip to separate the two aluminum sides, which are actually the antenna line. However, Apple did not confirm this. Since the company does not consider the bending to be a problem, it is unlikely to initiate a replacement program. However, buyers can still exchange their original unit within the 14-day return period. Apple revealed the 2018 iPad Pro on Oct. 30, and it hit store shelves on Nov. 7. The realization that the 2018 iPad can bend came to light after YouTuber Zack Nelson from JerryRigEverything bent his iPad Pro in half using his bare hands. However, his claims about design flaws with the device were largely rejected because his test does not replicate typical real-world scenarios. However, since Apple’s confirmation, many would say he isn’t totally wrong about the design flaw. Many users uploaded images of their bent iPads showing a curve on or near one of the microphone holes on the body of the device. It’s the same spot where Zack Nelson said the tablet is the weakest. However, since Apple has stated that it’s not a defect, we hope it does not turn out to be an issue which affects performance later. Apple confirmed to The Verge that the bend “shouldn’t worsen over time or negatively affect the flagship iPad’s performance in any practical way.” Moreover, the company said the return rate for the 2018 iPad Pros isn’t higher than usual. Despite Apple’s assurance, the confirmation about the bend raises a question about Apple’s manufacturing capabilities. The company touted the 2018 iPad Pro’s super-thin body as a breakthrough in modern engineering, but now it seems the design is not perfect. “This is just ridiculous! Would one expect to buy a new car that has dents or body damage from the factory? According to Apples [sic] logic, yes, this would be considered acceptable,” one user said on the MacRumors forum. It remains to be seen how many more buyers react to Apple’s confirmation about the bend being normal. If it really is normal, Apple seems to be suggesting it is not normal for customers to expect a perfect device — even if they paid more than $800 for it. Apple received heavy criticism for the so-called “Bendgate” controversy with the iPhone 6 Plus. At the time, several users reported that their new iPhone was bending with regular use. Apple ensured that the later iPhone models don’t have the same issue. Now that users are reporting the same issue with the 2018 iPad, Apple may be trying to avoid the same level of controversy by tagging it as normal. 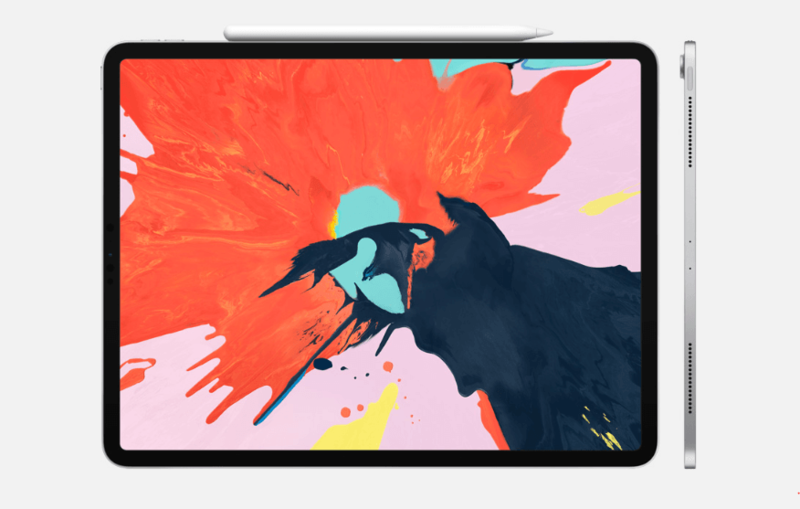 Apple’s 2018 iPad Pros — available in 11-inch and 12.9-inch sizes — feature a Liquid Retina screen similar to the one on the iPhone XR and come with rounded corners. Further, the screen has the True Tone feature, which is also similar to recent iPhone models. The smaller model has a 2388 x 1668 resolution, while the bigger one has a resolution of 2732 x 2048. Both models are slimmer than their predecessors at just 5.9 mm. The top bezel houses a 7-megapixel camera and Apple’s 3D TrueDepth face scanning sensors to support the Face ID feature. The new iPads are powered the by A12x Bionic processor, which is built on the 7 nm process.